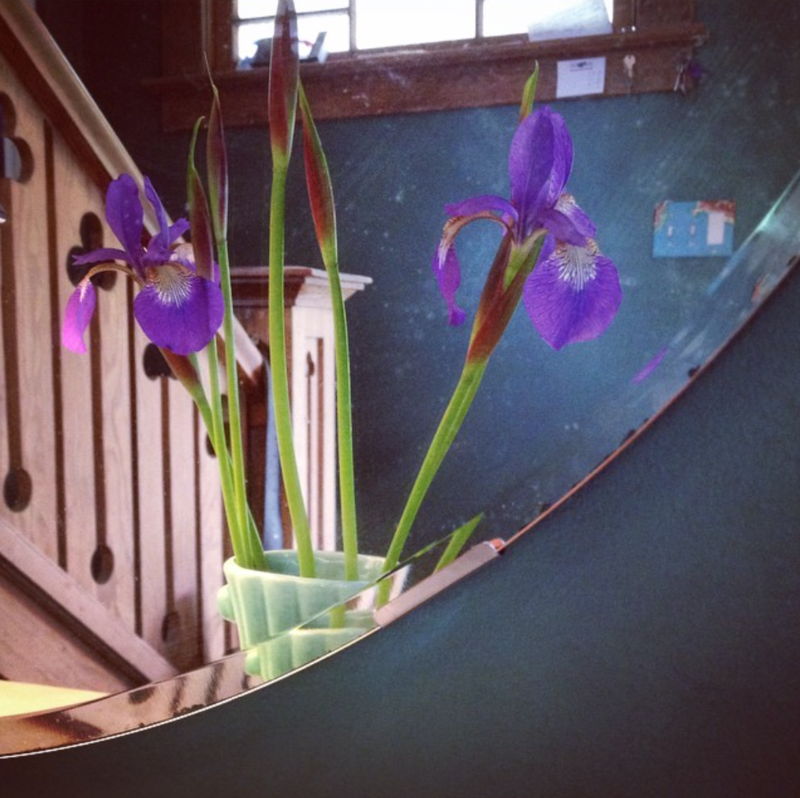 Japanese iris from the garden in a long ago thrifted McCoy vase, reflected in a vintage Goodwill mirror. You can’t get this look at Target, Ikea or Home Goods. It’ll never fall out of fashion, so there’s no possibility of falling prey to planned obsolescence. Chase the latest style and you’ll never reach the finish line. It’s my home, unique to me and I wouldn’t have it any other way. You rock. I rock. All of us with the guts not to let Martha Stewart or Ethan Allen or Architectural Digest or anybody else dictate our living arrangements rock. Seriously, how many people come to your house every month? Why would you care what other people think? Some things are timeless. I have better things to do than try to be trendy with my throw pillows, etc. Once I read that gallery walls were so passe, and just about died laughing. Tell that to everyone with a real, dedicated study or library in their house. Nice post. Awesome! I like that you have your own taste and style…therefore, your home shows it. I really dislike walking into a home that has been decorated via a home buying party or a decorating department from a store. I enjoy the things we use for decoration in our home ie : thrifted, made by someone in the family or repurposed. I can guarantee you won’t go to someone else’s and see the exact same things….and that is the way we like it. Katy, I sooo agree. As I have mentioned before, I have one room in my house with nothing in it. Easier to clean! My mom always said she was raising kids, not living room furniture, but she also stressed the need to take care of your things. My friend’s mom put white carpet throughout her lovely, professionally decorated house and would scream at us to take off our shoes. Guess whose house the kids liked to come to? The latest trends in home decor will be tomorrow’s yard sale deals. My decorating style is “what I have is what I love”. One bedroom is my parents set from 1950. One is my “sweet 16” furniture. The last is pieces I found and love. Downstairs is a mix of my mother’s, godmother ‘s, and found items. The woods do not match, but it’s all wood, so it’s all good! Trends come and go, personal style is forever! Trends come and go, personal style is forever – I love that! Our house is an eclectic mix of hand-me-downs, repurposed things, hamdmade items, and a few storebought just because I loved them things. It may not meet Martha’s standards, but we like it! Personal style is the best style. I just found a print in a magazine I liked, cut it out, and hung it in a frame I already had. It looks perfect and is so me. very well said, I feel exactly the same way about my home. A home is a place where we each have to live in everyday. I love being able to make it our own little retreat away from the world and not have to care about what others say. Yay for those with thrift store style. Last weekend my sister and I toured several model homes that were open, near her house, while taking a walk. We did not like any of them, neither the home designs nor the decorating. They were meant to be fancy, smancy, but they left us cold. I was happy to get home to my little house, that works for us. I pay no attention to trends. My husband and I are struggling with this concept with planning our kitchen. I think we should do something classic and he likes more trendy looks. I just keep trying to remind him that in 10 years is he going to want to shell out another 50k to redo a kitchen that is perfectly fine but just dated? Can’t wait until granite is so “yesterday” and everyone starts ripping it out! Can’t wait to see what’s the next fad! Yes, Ma’am – you said it! Nothing beats items that have survived the test of time and are not subject to popular trends……unless that trend is to re-purpose and recycle. Hey now! There’s nothing wrong with Martha! Her decorating often features thrifted, repurposed, vintage, etc. The stuff I can’t stand is all of the super trendy stuff on pinterest. Everything chevron print, yellow & gray, lace & burlap, and impractical crafts that ruin the ever so practical mason jar. I’m with all of you above though. Our decorating is a mix of hand-me-downs, garage sale finds, gifts from friends and family, and the occasional nice, basic, timeless, sturdy piece of furniture purchased with longevity in mind. LOL. 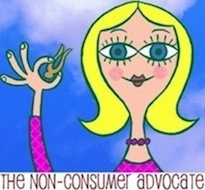 Speak truth to Pinterest! I so agree, I hate going into a home and learning nothing about the people that live there except where they like to shop. My home is definitely me and changes to fit the needs of our family. Right now I have a 2 year old grandson who visits often. I moved out every un-necessary thing to provide plenty of play room. He loves to play cars on the floor. I call my style casual comfort. We live in the country so our home reflects that in style and decor. I love unique, one of a kind pieces. I love to purchase discarded oil paintings at thrift stores and rotate my collection so I never try of any one piece. I have never paid more than $10 for any of them and my all time favorite piece was gifted to me by a local artist. Comfort never goes out of style! I get such a creative thrill making our home comfortable, practical and beautiful for us. Trendy homes leave me feeling cold and sorry for those who live in such impersonal surrounds. Our space wasn’t created by an interior designer. It’s been influenced and changed by us in our needs and aesthetic preferences. That includes the kids and that’s what makes it a home. My home decor rarely changes. I’m happy with my “eclectic” furnishings and content with what I have – it’s comfortable for me. I can look at magazines and think, “That’s pretty” – without wanting to buy what I’m looking at or change anything at home. I don’t follow trends or fashions. Like you, I’m about what makes me happy! Next post: Computer Literate Again!